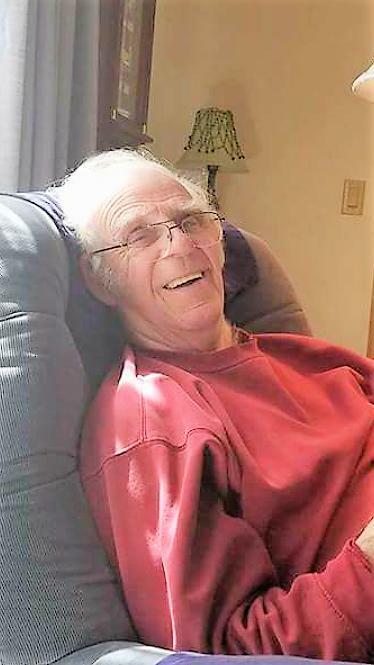 Allan C. Richter, 89, of Brownsville, WI., was born into eternal life on Wednesday, March 28, 2018 at St. Agnes Hospital in Fond du Lac. He was born on January 29, 1929 in Winnipeg, Manitoba, the son of the late Arthur and Pauline Richter (nee Tkachyk). He married the love of his life, Jean Mishler at the old St. Joseph’s Catholic Church in Milwaukee’s Third Ward, on February 3, 1951. Al proudly served his country in the U.S. Navy on the U.S.S. Crescent City. After leaving the military, he worked as a police officer in Milwaukee for 12 years. Al and Jean owned and operated the Al & Jean’s Driftwood Inn in Milwaukee. After the Driftwood, he worked at many various jobs where he was always well respected. Al loved to golf and was an assistant pro at the Milwaukee Country Club. He enjoyed playing cards, especially Sheepshead, Cribbage, and Pinochle. Above all, he loved spending time with his family and taking “short cuts”. Those Al leaves behind to cherish his memory include his wife of 67 years, Jean; children, Earl (Kate) Richter, Cindy (Mike) Gau, Carl (Kim) Richter, Michael Richter, David (Kathy) Richter; grandchildren, Erik (Laura Graman) and Laura (Patrick Ozimek) Richter, Sarah (Tom) Anzia, Rebecca (Andrae) Dobbs, and Stephanie (Josh) Trewhella, Christina and Amanda Richter, and Alex and Aaron Richter; 13 great-grandchildren; and one sister, Pauline Reed. He is further survived by nieces, nephews, other relatives and friends. In addition to his parents, Al was preceded in death by his siblings, Mae Bach, Carl Richter, and Joyce Mangen. A Memorial Mass in remembrance of Al will be held on Saturday, April 7, 2018 at 3:00 p.m. at St. James Episcopal Church, 148 S. 8th St. West Bend, WI. 53095. Al’s family will greet relatives and friends at the church from 2:00 p.m. until the time of Mass. Private burial will take place at Southern Wisconsin Veteran’s Cemetery in Union Grove, WI.